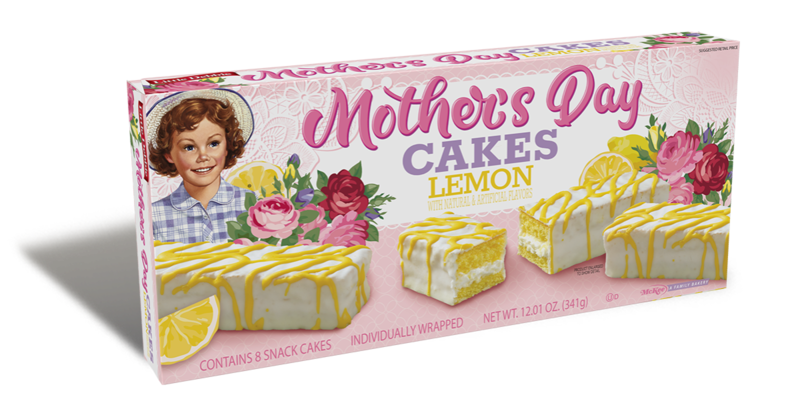 Little Debbie Lemon Mother’s Day Cakes feature lemon cake with a white creme filling, covered in white icing and topped with sunny, yellow stripes. These delicious snack cakes will offer Mom a special treat, just in time for Mother’s Day. Each carton contains 8 individually wrapped cakes, so Mom can enjoy a cake a day for an entire week, or she can share with the whole family! With a fun greeting card style note on the back panel, these cakes are perfect as a gift solution this Mother’s Day or any day you want to return some sweetness to mom.